Who doesn't love raspberries? 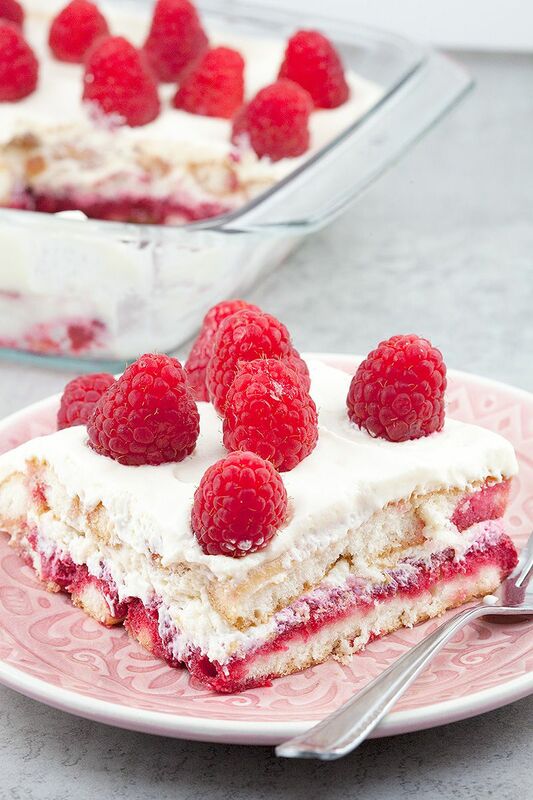 Sweet and sour raspberry tiramisu, just the right twist on a classic tiramisu. Ready in 15 minutes. Want a bite? UNFREEZE the raspberries and use the ‘juice’ for dipping in the ladyfingers later on. COMBINE the raspberry juice with 1 tablespoon of white caster sugar and the lemon juice in the small bowl and set aside. Use a whisk to create a smooth mixture of the mascarpone, egg yolks and 3 remaining tablespoons of white caster sugar. WHIP up the egg whites until they form stiff peaks. COMBINE the mascarpone mixture with the whipped egg whites until the mix is smooth. DIP half of the ladyfingers in the mixture one by one, we choose to dip only one side so the ladyfingers wouldn’t become too mushy. DIVIDE them on the bottom of an oven dish. Use a fork to mash the frozen raspberries and then DIVIDE the frozen raspberries onto the ladyfingers. 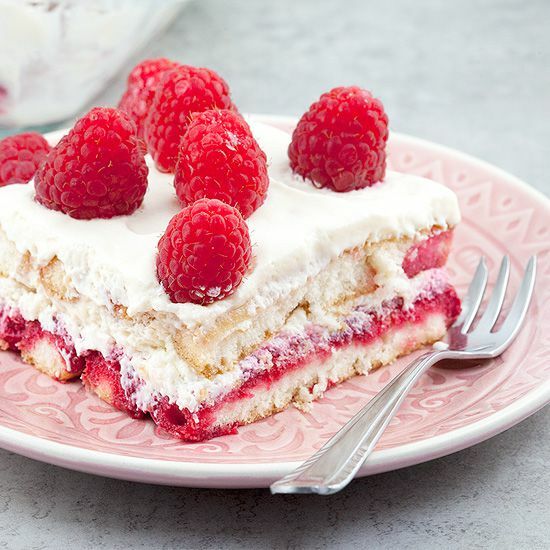 DIVIDE half of the mascarpone mixture over the ladyfingers and raspberries. DIP the other half of the ladyfingers in the raspberry and lemon juice mix and create a new layer. 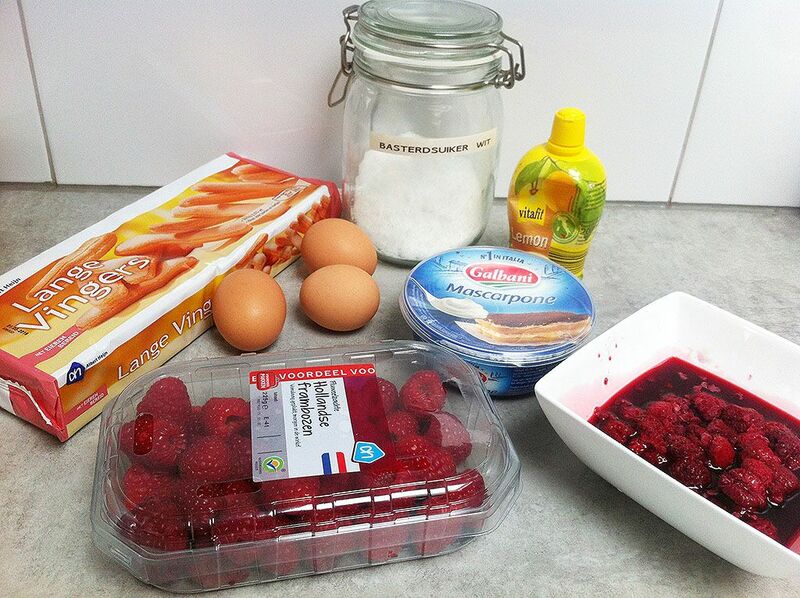 DIVIDE the rest of the mascarpone mix over the oven dish and top it off with the fresh raspberries. Cover with cling film and refrigerate for at least 4 hours, but preferably overnight until the mascarpone is set. These looks delicious. 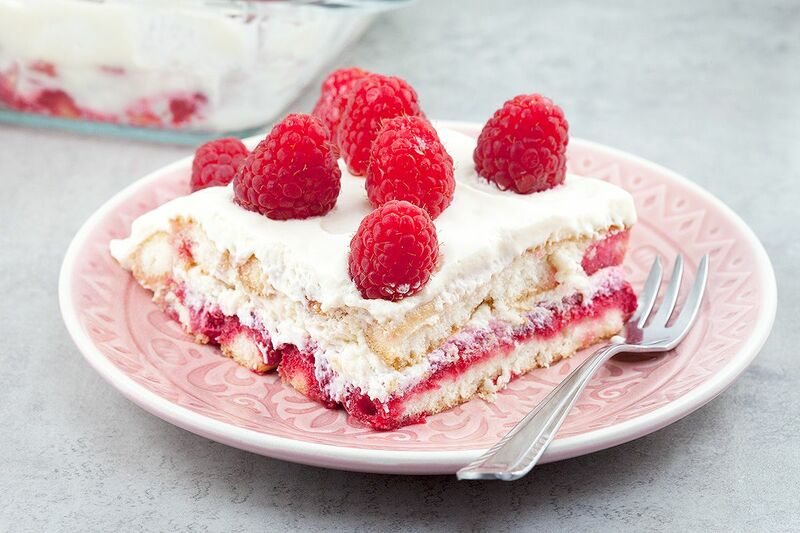 Tiramisu is one of my favorite desserts and raspberries are my favorite fruit – so it’s a perfect match! I’ve only made limoncello tiramisu with lemon curd and this version looks delicious.